This yearâ€™s edition Cartier Baiser Vole, builds upon the oriental, mighty and passionate kiss of the dragon (Le Baiser u Dragon), announcing a more sophisticated approach and composition. The emphasis is on the game of excitement and anticipation. Mathilde Laurent, who composed the notes, is responsible for tempting stolen kisses of Baiser Vole release. The story of pure passion is told by the ultra feminine essences of rare and elegant lily flower. The scent is announced as intensively floral, fresh and powdery. With the first drop of fragrance, we encounter the scented pistils of the lily, the heart beats with refined and elegant lily petals, while the base notes offer green leaves of lily. 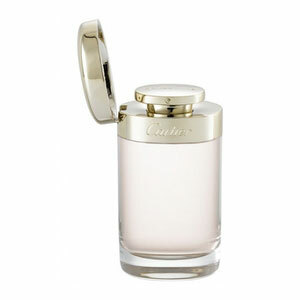 The fragrance is available in an elegant glass bottle with golden stopper. The range offers perfume water as 30, 50 and 100 ml and roll on perfume accompanied by a collection of body care products: body lotion 200ml, shower gel 200ml and deodorant spray 100ml. Baiser Vole fragrance is presented in 2011.